Why shouldn’t I use a “self-publishing” company? In “traditional” publishing, the publisher shoulders the expenses and recoups its investment by keeping the lion’s share of the revenue and paying the author a small royalty for each copy sold. This is fair. In “original” self-publishing, the author is the publisher, so he or she shoulders the expenses and keeps ALL the profits in return. This, too, is fair. “Self-publishing companies” are the very definition of unfair. The author is charged for book production AND the self-publishing company keeps the lion’s share of the revenue, paying the author a small royalty for each copy sold. WHY, when they have no investment whatever in the book? 1106 Design is not a “self-publishing company.” Our fees are a one-time cost. Once paid, we’re out of the picture. Except for unavoidable retail discounts and printing costs, every penny of profit goes directly to you when a book is sold, as it should. YOU are the publisher! When is it necessary to change an ISBN? This is from the International ISBN Agency Users Manual (page 10 here: http://www.isbn-international.org/pages/media/Usermanuals/ISBN Manual 2012 -corr.pdf). We welcome all your publishing questions. If we don’t know the answer, we’ll reach out to someone who does. So please ask away. We mean it when we say that hand-holding is our most important service! We can confidently recommend a number of professionals in this area. Visit our Book Marketing page to read about their services and order your free consultation with one or all of them. Who can help with audio books? Who is the best choice for extended distribution? Lightning Source is owned by Ingram, and setting up your title there automatically lists your title in the Ingram database for a 55% discount. At Lightning Source, you may choose the option “returnable/destroy”, so bookstores are happy to special order books printed here. Lightning Source also offers robust and expanding international distribution options. Who is the best choice for print-on-demand (POD)? You may also wish to set up your title at CreateSpace.com, owned by Amazon. We’ve all heard the rumors that Amazon displays books from Lightning Source as “not in stock”. We think this is simply a computer algorithm at work, not a big-company conspiracy theory as some suggest. Since Amazon’s CreateSpace is not printing the book, technically is isn’t in stock. Unfortunately, this policy leaves buyers unaware that Lightning Source prints and ships books 24 hours after receiving the order from Amazon. See the extended distribution question below for other reasons to set up your title in both places. eBook technology is changing very rapidly. You’ll find a host of firms online who promise to “convert” your manuscript to an eBook for little or no cost, then publish, promote, distribute and sell it for a commission. Many assign one of their own ISBNs to your title, which makes them the publisher of record for your eBook…a bad idea any day, but especially if they go out of business. And, their free conversions, run through a software robot, are usually awful. We recommend a different approach, starting with an investment in proper eBook formatting. eBook formatting involves quite a bit of coding and time, but the result is an eBook that displays well on a variety of devices. Once eBook formatting is complete, we recommend uploading the .mobi version to Amazon Kindle, and the ePub version to Barnes and Noble’s PubIt. Kobo and Apple’s iBookStore are also good choices. Most eBooks are purchased at these sites, and managing your own accounts doesn’t take much time after the initial setup. What is a P-CIP block? P-CIP stands for Publisher’s Cataloguing in Publication data. This information is used by librarians to catalog your book. It typically appears on the copyright page, and is optional. Your ISBN and PCN should be obtained before you request a P-CIP data block. To obtain a P-CIP block for your book, click here. No. The ISBN identifies the book and the publisher, not the printer. Think of an ISBN as a product number. If the product differs, a different ISBN should be assigned. For example, if you release your printed book as a hardcover and a softcover, each binding style should have its own ISBN. Later, if the book changes substantially and you release a new edition, again new ISBNs should be assigned, so the Books in Print database will clearly show the old and new editions. At this writing, Bowker recommends one ISBN for all formats of your eBook. What about the Library of Congress? Every book needs an ISBN (International Standard Book Number), which is obtained from R.R. Bowker, the official ISBN agency in the United States. 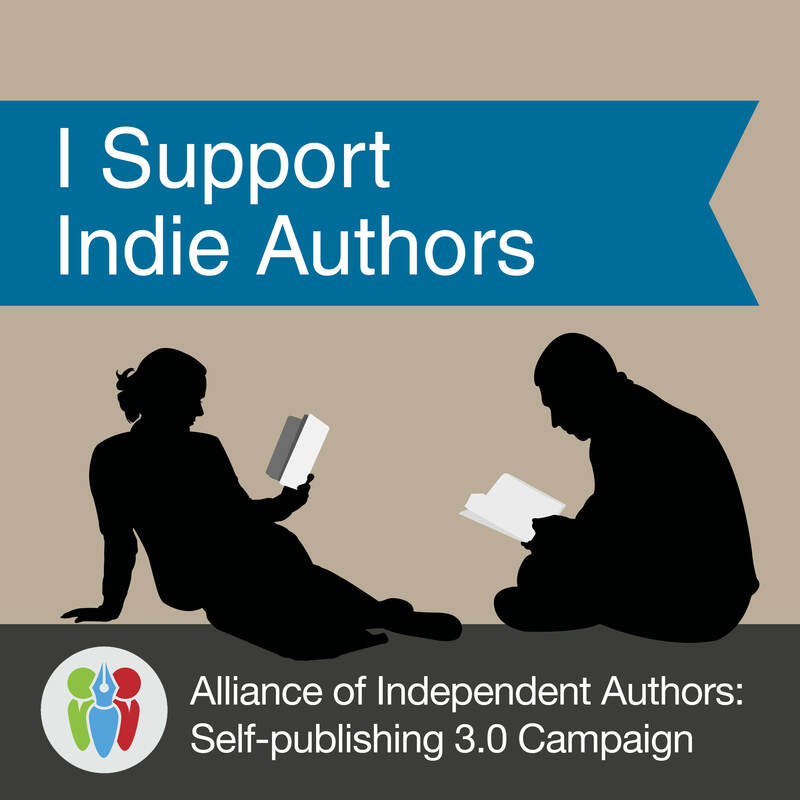 Visit http://www.myidentifiers.com to choose the option that is right for your publishing goals. We recommend buying a block of 10 numbers. They never expire, and can be used for various formats of your book (for example, hard cover, soft cover, large print editions, eBook editions, etc.) It may not be necessary to purchase the barcodes offered. We include a free barcode with every cover design. If you need a little help in publishing business finance and management, contact Marion Gropen, a financial and management consultant to publishers. Advice is delivered question by question or in DIY packages. See www.GropenAssoc.com or phone 888-3GROPEN. The Self-Publishing Manual, Volume 1, by Dan Poynter, devotes an entire chapter to this subject, and is an excellent resource for dozens of other topics. Can I see some references for your services? I don’t see templates on your website. Can you just let me choose a template and I’ll do my own work? The books you love were not created using the template approach. Experts were used at every stage of the process to make the book as good as it could be. Why should I hire you when I saw on another website that I can print my book for FREE with them? As the oft-repeated adage goes, “Nothing in life is free.” Not even books. Companies that make this promise are offering templates that you use to create the cover and the interior layout of your book yourself. Not only will your book look unprofessional (and look like a hundred other books styled on the same template), it will not meet expected publishing standards and YOUR READERS WILL KNOW IT! You won’t get any editing or proofreading, even though a second set of eyes is critical in avoiding typos and more. At some point you will get frustrated and reach out for help, and these companies know that you will. When you do, they are ready and willing to sell you a slew of packages and services to help you on your way. And the only way you can produce an actual physical book for free is if no one buys it; every book ordered represents a book you must print and doing so will cost you real money. Hiring a professional design company like yours seems like an expensive option when I don’t even know how many copies I’ll sell. Shouldn’t I try to produce it as cheaply as possible? I’m not sure where to start with self-publishing my book. What can you recommend? First, look at our “How to Self-publish” page, which is full of information about self-publishing and is great for first-time publishers. If you still have questions, don’t hesitate to e-mail us or call us; we’re really friendly! A phone call with an 1106 Design consultant will give you more information than hours of Internet research, and it will be much less confusing, we promise. We can talk specifically about your book, where you’re at, and what comes next. 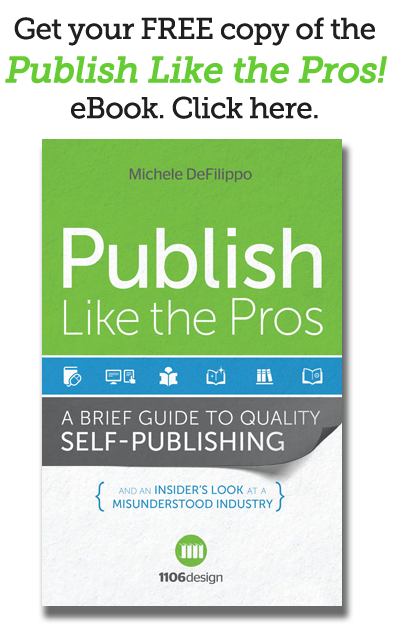 However, if you’re just looking for some general information about self-publishing, we have written an eBook just for you: Publish Like the Pros. Click here to get your free copy.